Opening the Sky: An Event of Rare Extraordinaire! 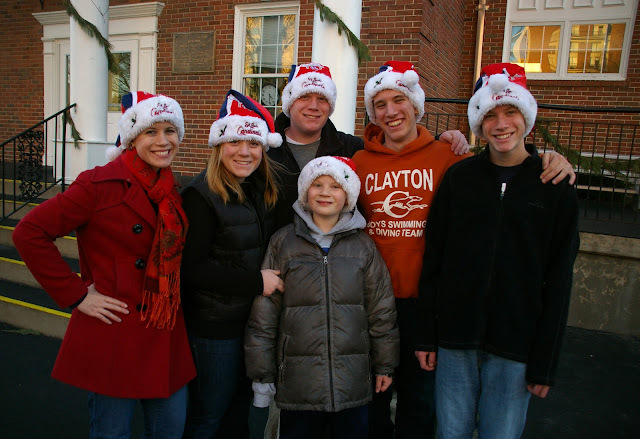 Since the Cardinals won the World Series in 2011, our family wore festive Santa hats to the ice skating party to celebrate our team. One of our favorite family traditions has been to always give a holiday party, but our house, after a few years, became too small for all the people whom we held dear. Also, all of our Muslim, Jewish, and Hindu friends understandably did not want to sing Christmas carols merrily around the fire with us. My magnanimous, generous husband conceived a brilliant idea: rent the local ice skating rink, order donuts (40 dozen to be exact), and bring gallons of piping hot chocolate. Our philosophy was to invite everyone from every niche of our life--neighborhood, school, church, workplace, and anybody who was happening to be visiting.... It was definitely a bit of a sociological experiment to mix every age, socio-economic, educational, and religious background together, but the result for the next 17-18 years was nothing less than magical. It became an anticipated highlight of the season. Circa 2010 Broom Ball Game at ice skating party--at least part of the team. Friendships and strong bonds were formed with our network of friends because they always saw each other at the same party every year. It always made me chuckle because I would see our friends (who did not know each other the first couple of years of going to the party) begin to catch up with each other in proceeding years. After going to the same holiday party for almost two decades, they created a bond of their own. Reunions naturally occurred because all the college kids wanted to connect with each other. Some people who had moved away came to the ice skating party because they knew they could intersect with old friends. Last year Sarah celebrating time together with friends in St. Louis. 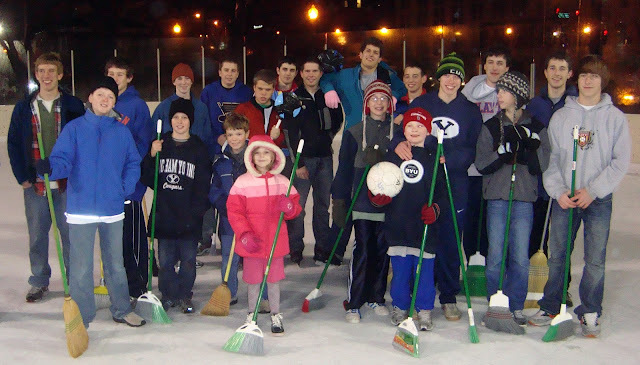 After a few years, we started a broom ball competition. 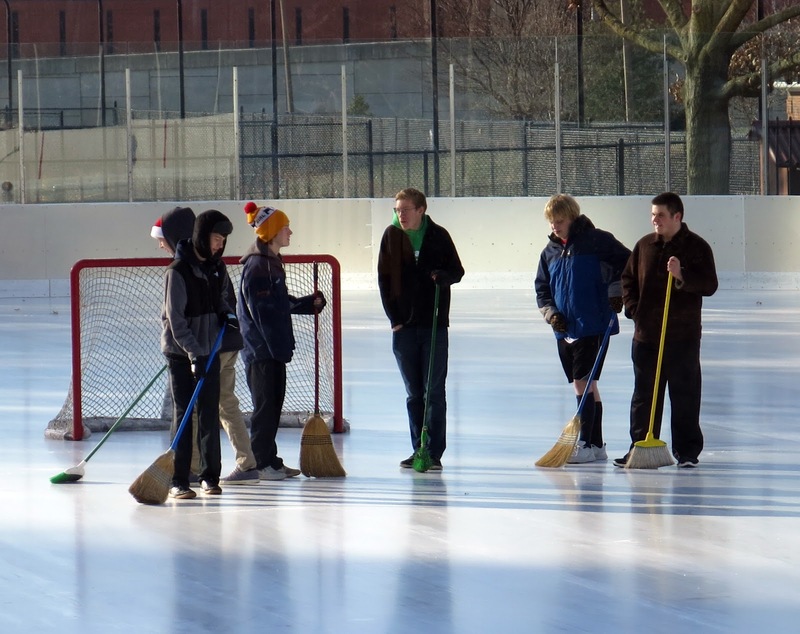 Everyone who wanted to play would bring a broom, and they would swish around a soccer ball like an ice hockey game. The ice rink manager would let us put up the ice hockey nets, and the kids would have a blast for an hour before everyone launched on the ice. Sometimes there would be about 20 people on each team. Circa 2005 If you look closely in the pictures, you can see some of these kids grow up. Last year in Missouri, never imagining we would have our party next year in Qatar. Sometimes there would be homeless people from a local shelter who would come, and they would skate past a CEO of a large company. We liked to think that everybody, even for a few hours, could skate on the same ice. Some friends could barely hold onto the rail without falling, and others jumped, glided, and bolted past with swift glee. I guess you could say I watched a generation of kids learn to skate, even race with fierce abandonment--sometimes as snowflakes fluttered in the air and even one year with drenching rain. Holiday music would blast from the speakers as a fire warmed another crowd of people who just preferred to watch the festive cheer. Depending on the year, there would be a guitar or a harmonica to entertain them. This year I wrote a friend in St Louis, and told her we lived in Doha, Qatar now, and she would have to come across the world for our party (the party does go on, after all). She replied--telling me her breast cancer had returned, and that she couldn't skate this year. Her wish was to come and walk around the rink instead.... In my mind I have an indelible image of her: she was unquestionably always, every year, the first one to come skate on the shiny ice. 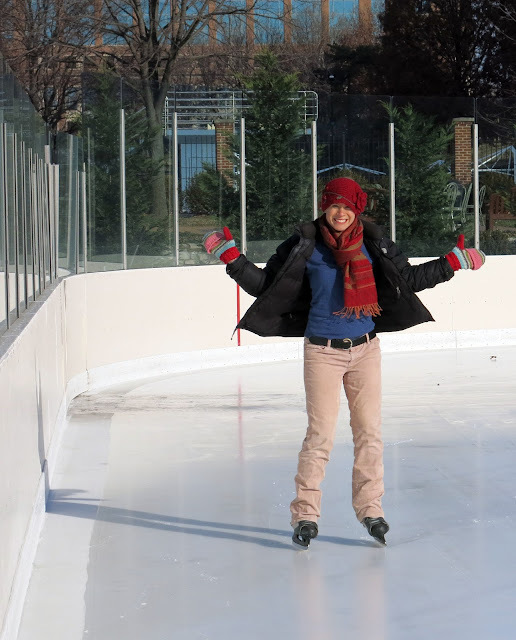 She loved having the smooth, tranquil ice all to herself before the crowd came. I have a prayer in my heart for her renewal of health, but her yearly appearance as the first one to skate always demonstrated to me her commitment to living with exuberance and zest. Today after the debut of our holiday party in Doha, I was again cheered, heartened, as I always am after our seasonal party. We used the time-tested strategy of inviting all of our friends (in every pocket of our life) to come to an ice skating rink--with groups from school, the compound, my orchestra, from work and church--even a few people whom I did not know. To watch everyone, strangers an hour before, push each other's children on the ice supports, grab an elbow of someone who didn't know how to skate, help lace up a child's skate who one has never met, and wish another best wishes for the new year are the magic that never fails to happen. Somehow this tradition has given me a gift--to unequivocally know that friendship, love, and compassion can descend on a single, unlikely place with complete strangers. Whether they come from near and far, or have different socio-economic, educational, and religious backgrounds, it mattereth not. Indeed, there can be peace on earth and goodwill toward men. This party always gives me belief, if it ever dwindled during the year. Joseph pushing a coworker and his kids on the ice. For many expats, it was their first time to hit the ice. It is an affirming feeling to know that although we have moved across the world, we have new friends whom we did not know only a few months ago. I heard that some old friends had continued our tradition in St. Louis, not being able to let go of the magic that never failed to appear at that holiday ice skating party. Every year we come home with our empty thermoses of hot chocolate, whether it was in St. Louis, MO, or now Doha, Qatar, we think of the image in It's a Wonderful Life. It is the part at the end of the movie when George Bailey sees that he has unexpected friendships, and they are far more numerous than he ever imagined. That is just how I feel tonight. A. preparing for the party in Doha this year with the first installment of donuts. Little J. enjoying a skate and a donut. At the end of our ice skating party in Doha. Don't you love the 'Flying Camels' logo? So very fitting in Qatar! 1) Cherished traditions can continue--even across the world. 2) Everyone loves (and is able) to skate on the same ice. 3) If you have to leave your post, others can carry on the tradition for you--especially if it was a very magical one.